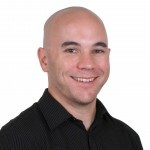 Mark Aveyard, an assistant professor of psychology at the American University of Sharjah in the United Arab Emirates, is using his knowledge of embodied cognition to study how the position and movement of the body during prayer relates to higher-level cognitive processes such as decision-making, language processing, and emotion. Aveyard, whose work is supported by the SSRC’s New Directions in the Study of Prayer Initiative, recently spoke with Jennifer Lois Hahn about the difficulties of experimental design, WEIRD research subjects, and the impact of culture on the way we think, use our bodies, and in some cases, use our bodies to think. JLH: Could you start by explaining to someone who’s unfamiliar with embodied cognition what it is and how it differs from other models of cognition? MA: We tend to talk about the mind in a kind of dualistic language. We tend to think of our minds as mental and our bodies as physical, and that these are separate domains. This dualism is reinforced by our religious beliefs, certainly. I think it’s reinforced partly because it’s useful to think of things in that way and by the fact that when we compare ourselves to many animals it does seem that we have these certain mental capacities that are extremely sophisticated. It’s very tempting to think of these as being almost disembodied, as being part of our human spirit in a way. That dualism has often carried over into more academic theories about the mind as well. Not that people are talking about souls and spirits any more, but they are talking about representations in the mind that are disconnected from bodily processes or not closely intertwined with them. The analogy I sometimes use with my students is a scene in the movie “The Matrix.” Somebody essentially gets plugged into a computer and they learn things about the world just by having information downloaded into the brain. This idea that you can fill your brain with data in the absence of physical experience has been very influential in the way that we think about the mind academically. So you have theories in robotics and computational science that try to model the brain with purely abstract symbols, with zeros and ones. If you just think about numbers and mathematics, about concepts like time and infinity, these seem to be very disconnected from the way that we move from one room to the next, or the way that we learn to walk or ride a bike, which seem like very physical activities. So I’m sympathetic to this dualistic mindset because I think it’s useful in some ways. But where it falls short is that it underestimates the contribution that bodily experience is making to those higher-level cognitive processes. Research on embodied cognition is showing that in mental processes like mathematics, the mind is often recruiting bodily processes in order to understand the things that it needs to understand. The same thing is true for language comprehension. Using language seems to be something that is pretty disconnected from the body. A lot of people out there are working on artificial intelligence programs for understanding language, and that may be theoretically possible—embodiment doesn’t say that comprehension of language absolutely needs, in all cases and at all times, a body. But it does argue that human beings use the body to understand language and that when, say, you read a sentence about somebody walking, running, or throwing something, you are understanding that sentence not just in some kind of dictionary sense, but that you are actually recruiting your own bodily understanding of how those actions are done. So whatever neurons you are activating when you, yourself, walk or run or throw, some of that network is being recruited when you read a sentence about somebody doing the same thing. In other words, having experienced something bodily is helping you understand everyday conversation about similar actions. It wasn’t obvious to cognitive scientists many years ago that that might be the case because things like language, mathematics, decision-making, and judgment seem so abstract in their nature and disconnected from the bodily experiences. But we’ve seen a shift over the years as we’ve accumulated more and more evidence that these higher-level processes are actually actively drawing on these so-called lower-level processes of motor, sensory, and perceptual experience. JLH: It’s striking that embodied cognition has not been studied more widely in the context of religion. MA: It has been studied extensively by anthropologists, especially in ethnography, but anthropologists tend to be interested in the social ramifications of those rituals and what each of those bodily movements or adornments are supposed to express in terms of the theology of the religion. There is no focus whatsoever on what the motor movement itself is supposed to contribute when people do those rituals. So if you are a Christian and you pray by putting your hands together and closing your eyes, what is that doing for you besides making you feel as if you are doing what you are supposed to be doing as you pray? If you are Muslim and you are going through the Muslim prayer ritual, which has a predefined series of steps that were outlined by the prophets, what does that contribute? It’s easy to miss the importance of the motor rituals beyond this sort of traditional standpoint because it’s easy to adopt a dualistic framework when thinking about religion. In fact, that is what most religious people tend to do implicitly when they describe the rituals that they go through in their religion. If you ask people what is important in prayer they tend to focus on the most mentalistic or even spiritualistic aspects of prayer. Not surprisingly, they don’t reflect very much on what bodily movements contribute to all of the other stuff they think is important in prayer. What is the connection between moving your body in a certain way and adopting a certain position and these higher-level cognitive processes in regard to what you’re thinking about, what decisions you’re making, what kind of spiritual feeling you’re having? What is the connection between moving your body in a certain way and your concerns for your family, for the state of the world around you, for the state of your soul? JLH: How did you go about trying to answer such complex questions experimentally? MA: In the basic paradigm, we bring participants into the lab and tell them they’re going to be doing a very simple exercise study. In fact, half of the participants will be going through a series of motions similar to those they go through in their prayers within their religion. The other half will be going through a series of motions that are not related to prayer in their religion. We expect that just going through these motions without being aware of their religious nature will have some effect on the next task that they do in the experiment. What we want to see is that they show stronger religious cognition when they’ve gone through motor movements that are associated with prayer versus movements that are not associated with prayer. It’s important that they make no connection between the movements that they did earlier and the measurement that we’re conducting. When we first started out, the problem was that when they were going through the movements themselves they were becoming aware that this must have something to do with religion. So we really struggled to create procedures that were authentically religious where the motor movements corresponded to prayer movements in Islam but were not so obvious that people would become aware of it. That was actually much more difficult than I imagined. We wanted to show that just doing something physically, even if you’re not even thinking about what that’s associated with, can influence subsequent religious thinking—that the body, just in it’s own capacity, can influence cognition in some surprising ways. So that’s why we wanted to isolate that, the influence of those motor movements. JLH: You conducted a number of different experiments to try to shed light on how those motor movements affect cognition. Can you tell me more about some them and what you found? MA: In one experiment participants were asked to look at a series of words on screen and memorize them. Most of these words were non-religious words, but we threw in a small subset of religious words. While they were memorizing these words, they were either holding their hands up in a way that corresponded to the first part of the Islamic prayer ritual or in a way that did not. Then we had them take a break for a moment and we came back and we presented another series of words and asked them to press a button in order to indicate whether that word was present in the original set or not. While they responded to these words they adopted the original position that they had adopted in the first part of the experiment, either congruent or incongruent with prayer. What we found is that when they adopted a congruent position, both in the training and the test phase, they were much faster to respond to religious words that had been present in the original phase—more so than the words that had nothing to do with religion. We also found that those in the incongruent condition, who were adopting a position that is not consistent with the first part of the Islamic prayer ritual, were responding slower to the religious words. This seems to indicate that the position in which they are holding their hands is slowing them down because it’s inconsistent with the associations they have made over the years between the words that we are presenting on screen in Arabic and the position that they should be in. It’s as if their mind thinks, “I’m seeing a religious word on screen, but I feel like I should be in a different bodily position when I’m responding to that word,” and so it takes just a little bit longer for their minds to adjust to that and then to say, “Oh, yes, this is a religious word that I saw earlier in the first part of the experiment.” We followed that up with another study where we had them adopt the same positions, congruent or incongruent with Islamic prayer, and this time, instead of having them respond to words they saw in the training phase, we presented them with incomplete words on screen and asked them to fill in the last letter to complete the word. So they might see the letters G-O on screen, and then a blank, and they could fill it in with a word that wasn’t religious, like GOT, or they could fill in that word with a religious word, which would be GOD. What we find is that when they are holding a position consistent with the Islamic prayer ritual, they complete that task with religious words more often. So what we’re showing is that just by being in a certain type of physical position, it’s as if you are preparing your mind to think religiously. It may be that one of the core functions of using the body in religious rituals is a way of preparing yourself to be in the mindset that you need to be in in order to satisfy the general function of your religion. JLH: Where does culture fits into all of this? The cognitive science of religion is often criticized for being too universalistic, for not giving enough consideration to the effects of culture on cognition. MA: I think culture is a big challenge for embodiment researchers. Everybody in every culture has a body. By and large, the vast majority of human beings walk upright and have two legs, two arms, ten digits and so on. Because of this, we tend to assume that a lot of these embodied processes in cognition must be universal and must develop in very similar ways. I was just in the Netherlands presenting the results of some of my work on the SSRC project. Of course you notice when you’re in the Netherlands that lots of people ride bikes. Where I work in Dubai, virtually nobody rides bikes. So there may be these cultural differences in terms of the types of motor movements you do, but the assumption is usually that the rules that the brain follows to connect motor movements to higher-level processes like language comprehension or decision making must be universal. I don’t think we should be making that assumption. I think that’s something that’s going to have to be demonstrated empirically. It could be that embodiment is very flexible culturally and that the cultural differences between the way people use their bodies has a very big impact on higher-level processes. For instance, there are some cultures where people are used to thinking in terms of arithmetic operations and there are some where that’s just not the case. Not only does that make for a large cultural difference and important psychological differences but maybe that’s also connected to the motor behaviors and sensory perceptual experiences that people grow up with in those cultures. I don’t know. I think we need to be careful about it. Given that cross-cultural differences in cognition have been revealed to be fairly significant in many cases, I think that embodiment researchers need to think carefully about the role of culture in embodiment. I don’t have a theory of that yet, but it is something that I have been thinking about. JLH: How do you think that embodiment researchers might better test for the effects of culture? MA: When it comes to religion, the big challenge for psychology right now is just to get out there and do research in different religious contexts—to study non-Western and non-monotheistic religious traditions in more depth in order to test out theories on subjects other than the typical American college student. Also, the challenge is to conduct more international collaboration projects and to try to put some more of the psychology of religion into the replication projects that are going on in psychology right now. That’s easier said than done. There’s a little bit of an irony here in that to establish a lab in a culture that isn’t represented very well in psychology is very difficult, because these are often cultures that do not have the sort of Westernized values that help build up research universities in the first place. So if a culture doesn’t value psychology and doesn’t fund it, and if people aren’t going to university and choosing to major in psychology, it’s pretty difficult then to have a presence for psychological research in those contexts. There’s a lot of criticism about WEIRD psychology, the fact that psychological studies tend to rely on subjects that are from Western, Educated, Industrialized, Rich, and Democratic societies. The idea is that most of our participants are these WEIRD participants who are not like most people in the world. That’s true with psychology of religion as well. I think there’s been a lot of criticism about that, particularly in social psychology, but I think it’s actually much harder to do research in other contexts, and I say that partly from personal experience. JLH: Can you talk a little bit about your experience working in Dubai and how living in the Middle East has changed your view on prayer? MA: After I moved to Dubai, the experience of cultural difference really inspired me to think about conducting research there on culture and specific aspects of culture, like religion. For nearly all of my students, religion is an important aspect of their lives, either as something that they follow in a very traditional sense or as something that they are sort of exploring in a more individualistic way. I had so many conversations with students in my first few years there about religion and culture that I started asking myself why I wasn’t doing any research on those topics. I also saw an opportunity to conduct research in a setting that virtually nobody else was conducting research in. When I first started doing research on psychology of religion about three years ago, I didn’t know of anybody else in the Arab world who was doing this type of research experimentally. Since then, I’ve seen a couple papers coming out from other researchers in the Middle East and North Africa, but it’s a large area of the world, in which there are very few psychology labs and a lot of instability, so it’s hard to attract people to this part of the world to set up a lab and commit to cross-cultural research. Living in Dubai has changed my view of psychology in general. I have a much greater appreciation for the power of culture in a way that I think I would not have appreciated if I had moved to London or Berlin or some place where there was a lot of common cultural currency between my place of immigration and my place of origin in the United States. The power of culture in everyday thinking and decision-making and emotional life has struck me as being a much bigger deal than it’s typically regarded as in psychology, particularly in cognitive psychology, where universalist assumptions are predominant. With her citation of Latour’s faxed pizza, Winnifred Fallers Sullivan argues that law in Town of Greece v. Galloway traces, delimits, and “tames” prayer such that the facsimile produced is a mere reproduction framed by the technology—in this case, the legal concepts—translating it. The work of the law, Sullivan suggests, is to transform religion, “to obscure the actual practices in the case, reducing them to types in service of law’s own logics.” As a result, she notes, “law does not need courts” because the power of law extends beyond courts and provides rules structuring daily practice. In its work of transformation and concealment, however, the unfolding of the law through its institutional manifestations—hearings, court briefs, amici curiae, transcripts—reveals to us not only, as Sullivan suggests, “the juridification of life in its very subjectivity,” but also how such manifestations authorize particular beliefs and practices as acceptable civil norms. As a result of this attempt of inclusion and authorization, an always inescapable moment of exclusion occurs and it is this moment of exclusion, I argue, that helps us explore Benjamin Schonthal’s observation of a moment of religious practice or belief that remains untamed despite the classificatory and performative aspects of legalizing discourse at work upon it.